If for any reason you do not want to keep your products, send them back within 30 days of purchase date for a complete, no strings attached refund. 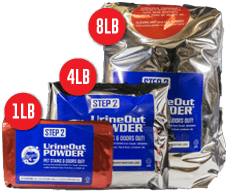 UrineOut Powder™ - Get Urine Stains & Odors Out! The ONLY way to completely clean the dog urine, cat urine or human urine stains and odors is to use a DRY POWDER cleaning process - a process that "sponges" up urine and ABSORBS it, thereby REMOVING the source of the dog urine, cat urine or human urine stains and smell from your carpet... PERMANENTLY! 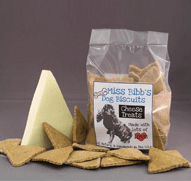 These ALL NATURAL, Low Fat, Low Calorie gourmet treats are all Organic, made with Love, Apples/Parmesan Cheese, Rye & Barley Flours, Cinnamon/Parsley, Egg and Vitamin C.
Miss Bibbs Gourmet Treats contain NO Corn, Soy or Wheat. These delicious treats have no artificial colors or chemical preservatives. Keep your pet on the right track with these effective training aids! Literally "absorb" the smells and odors from the area! 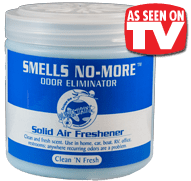 These work great for neutralizing tough smells in basements, living areas, or anywhere else that needs freshening.